Choosing to invest in electric vehicles or EV charging stations benefits companies and their employees. Reducing greenhouse gas emissions, building business relationships with other companies that have similar goals, and appealing to EV-driving customers -- these are just some of the perks. IKEA has been promoting a message of sustainability from many of its global locations by installing electric vehicle charging stations for shoppers to use. The Swedish home goods retailer installed three charging stations at its Las Vegas location, NGT News reported. Another charging station installed at the store's location in Ludwigsburg, Germany, is outfitted with a modern lounge for customers to relax in while they wait for their cars to finish charging, according to Handelsblatt Global. And, at U.K. locations, customers can enjoy a shopping discount when the show their electric vehicle charging receipt at the checkout. By making electric vehicle use easier for customers, IKEA wrote that it believes it's contributing to the uptick in EV use. "Being a sustainable retailer includes a focus on the sustainable transport of people and empowering our customers to live sustainably, too," store manager Amy Jensen told NGT News. "So, accommodating the needs of EV drivers meets both goals." Pacific Gas and Electric Company announced a new initiative to support its goal to reduce greenhouse gas emissions in California by working with organizations to install more EV charging stations throughout the state, according to a press release. The company is inviting companies to partner with it through the recently launched EV Charge Network program. Its goal is to install 7,500 EV chargers at condominiums, college campuses, workplaces and more, in a wide range of locations including disadvantaged communities. "Through this new program, we can help even more of our customers feel confident using electric vehicles, thereby helping the state and our communities meet their clean air and greenhouse-gas emission reduction goals," Geisha Williams, CEO and president of PG&E Corporation, said in a press release. UPS has already established a reputation for cutting down on their emissions, having adopted more than 300 electric vehicles and nearly 700 hybrids across the U.S. and Europe. But the company is striving to do more. 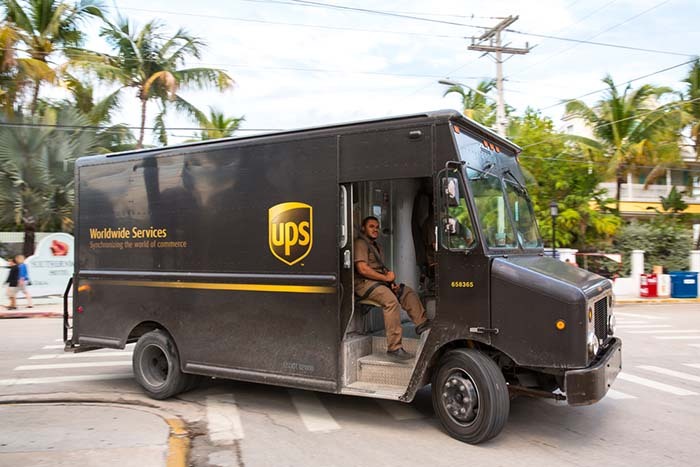 UPS announced that it's working on a pilot fleet of 35 lightweight electric trucks that can cover about 150 miles on a single charge, Engaged reported. That's a long distance for the average electric vehicle, and it can cover a lot of distance for city deliveries. The pilot will be tested in London and Paris. UPS also announced that it plans to order 125 semi-trucks from Tesla, while adding 50 electric trucks to its U.S. fleet. Electric vehicle adoption can be a great way for companies and organizations of all sizes to push their operations in a more sustainable direction. It can also be a clever way to attract customers to your location, similar to IKEA's idea of providing a welcoming lounge for drivers to wait in. Companies that are ready to make the leap and join these leading companies in their efforts to promote sustainability can invest in a charging station for their own location by working with Webasto.